Jharkhand Mukti Morcha (JMM) has demanded to share of Assembly seats in Jharkhand before Lok Sabha Elections. RANCHI: Putting more hurdles before the formation of a grand alliance by the Opposition parties lead by Congress President Rahul Gandhi for 2019 Polls, Jharkhand Mukti Morcha (JMM) has demanded to share of Assembly seats in Jharkhand before Lok Sabha Elections. Earlier also, giving a blow to Congress' plan to project Rahul Gandhi as future Prime Minister, Soren has cleared that he was in favour of choosing a candidate for the coveted post only by the elected MPs after the polls. Party sources confirmed that Soren has conveyed the message to the senior Congress leaders that the grand alliance for 2019 polls could be possible only after a consensus is reached over sharing of seats for Assembly elections in Jharkhand. JMM being a single largest party in the Opposition which enjoys maximum vote per cent among all parties in the Opposition wants a respectable share of seats for Assembly elections. One of the JMM MLA also asserted that no conclusive decision has been taken so far in this regard. "Though, no conclusive decision has been taken so far, our stand is clear that being the single largest party in the Opposition, also having highest vote percentage among the Opposition parties in all elections, respectable number of seats must be given to us," said Bahragora MLA from JMM Kunal Shadangi. When asked about acceptance over Congress President Rahul Gandhi as a Prime Ministerial candidate, he said that it will be too early to say anything on that. "Party's stand has been made clear to all associated parties that the priority of Jharkhand Mukti Morcha is Assembly elections, hence they must refrain from making unwanted statements unless it comes from the horse's mouth," said the MLA. According to party insiders, JMM wants at least 40 seats for Assembly elections, while the Congress leaders are not ready to give more than 30 seats, which has become the main reason of dissatisfaction among JMM. Change of stand by the Congress Party over going into Assembly polls under the leadership of Hemant Soren has also created a sense of confusion among the Opposition unity in Jharkhand. Congress, on the other hand, believes that there is no confusion from their side on the issue as the talks were still going on. 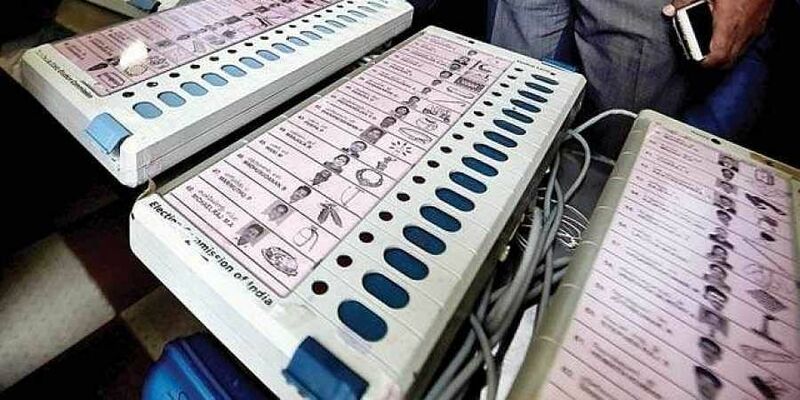 "There is no confusion that both Lok Sabha and Vidhan Sabha Elections will be contested together by the Opposition parties and the grand alliance is intact in the State," said State Congress Spokesperson Rajiv Ranjan. Leaders of Opposition parties will again sit together after Dushehra and reach to a consensus on sharing of seats, he added. Notably, Soren returned from New Delhi on Friday after having an intensive discussion with Jharkhand Congress in charge RPN Singh, State Congress President Ajoy Kumar and other senior leaders.